CDSB promotes greater consistency of approach to the demand for and supply of corporate climate change-related and environmental information. There is increasing realisation that an organisation’s condition, performance and long-term resilience depend on complex interactions between its strategy, governance and business model and its management of economic, social and environmental value. At present, however, there are no internationally agreed standards for reporting corporate climate change-related and environmental information. This leads to variations in methodologies, scope and boundaries of reported information, which in turn limits comparability and usefulness, leading to doubt about its quality and reliability. It also increases the cost of environmental reporting. CDSB works to address the variation in the quantity and quality of information in corporate environmental and natural capital reporting. CDSB collaborated with the Global Reporting Initiative (GRI), the Organization for Economic Co-operation and Development (OECD) and the United Nations Conference on Trade and Development (UNCTAD) on The Consistency Project. Further discussions and action to support consistency in the demand for and supply of climate change-related information. 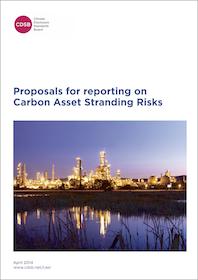 To complement this project, CDSB released a Working Paper entitled “The Case for Consistency in Corporate Climate Change-Related Reporting” to coincide with the Rio+20 Conference and the release of the OECD Working Paper, “Stocktaking of Domestic Greenhouse Gas Emissions Schemes”. The Working Paper found that although there is evidence of variations between the reporting schemes, fundamental characteristics are shared. This reflects the similar policy objectives they are designed to serve, (e.g. : emission reductions, achievement of national targets and low-carbon strategies, etc). Non-governmental organizations, such as CDP and GRI and voluntary standards such as the GHG Protocol have also done much to build capacity and encourage and provide the structural architecture for climate change-related disclosure. 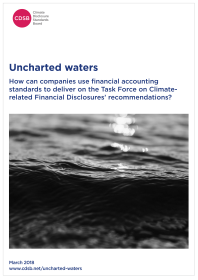 Common features of national and regional climate disclosure approaches provide a strong basis from which further consistency in reporting can develop. CDSB’s Working Paper examines some of the challenges to greater consistency and CDSB’s ongoing work seeks to address those challenges. This paper compares climate change reporting schemes, identifies common characteristics and examines challenges to consistency. Sustainability reporting: are we heading in the right direction? 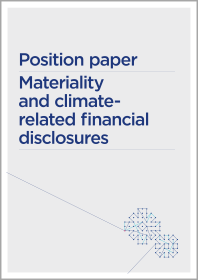 This paper by the OECD covers current government schemes promoting corporate emissions reporting and the drivers and challenges for governments, companies and investors.